“Charcot-Marie Tooth Disease” is admittedly a strange name, but it’s actually one of the most common inherited neurological disorders in the United States, affecting 1 in 2,500 people. The disease is named after Jean-Martin Charcot, Pierre Marie and Howard Henry Tooth — three European physicians who first identified it in 1886. The Center for Podiatric Care and Sports Medicine has experienced podiatric surgeons and physical therapists on staff who can help patients manage this incurable genetic disorder. We also have all the tools on-site to get you the diagnosis you need to move toward successful treatment and pain management. 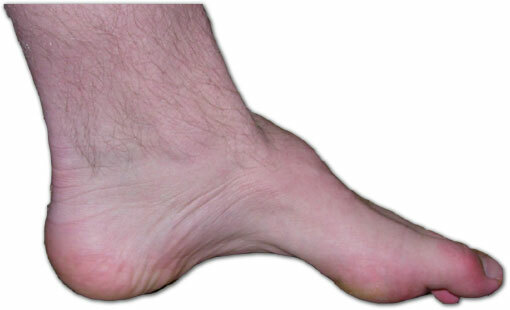 Charcot-Marie Tooth occurs when inherited gene mutations affect the development and function of the nerves connected to the legs, feet, arms and hands. When the nerve axon or the protective myelin sheath degenerate, the messages traveling between the brain and extremities are weakened. As a result, the body doesn’t receive all the brain signals to contract, causing clumsiness, and the brain doesn’t receive pain messages from the feet, so infections are more likely to go unnoticed. Onset usually appears in adolescence or early adulthood, with a gradual progression of symptoms. Most patients will need foot or leg braces, or another type of orthopedic device, to maintain mobility. As with anything, we’ll ask you a few questions about your family and medical history. Our board-certified podiatrists and sports medicine doctors will look for evidence of muscle weakness, poor tendon reflexes and sensory loss, as well as foot deformities like extremely high arches, hammertoes, flat feet, inverted heels or leg muscle atrophy. Beyond that, we can order a nerve conduction study or electromyography test. During a nerve conduction test, electrodes placed on the skin over the nerve produce a small electric shock that causes mild discomfort. The machinery gives us important information about how the nerve is responding. EMG testing involves a needle electrode placed through the skin to monitor muscle bioelectrical activity for abnormalities. There are more than 120 different types of Charcot-Marie Tooth, but genetic counseling can only identify some of these cases. When all else is inconclusive, a nerve biopsy (removing a small piece of peripheral nerve) can show clear signs of abnormal myelination. Currently, there is no cure for Charcot-Marie Tooth, although the area of gene therapy shows great promise. In the future, we hope it will become possible to deliver targeted genes to the affected cells and muscles. The use of nerve growth factors using androgen hormone to prevent nerve degeneration is another area of research. Trials involving Vitamin C and Curcumin are currently underway. For more information on Charcot-Marie Tooth, contact NYC professionals at The Center for Podiatric Care and Sports Medicine.